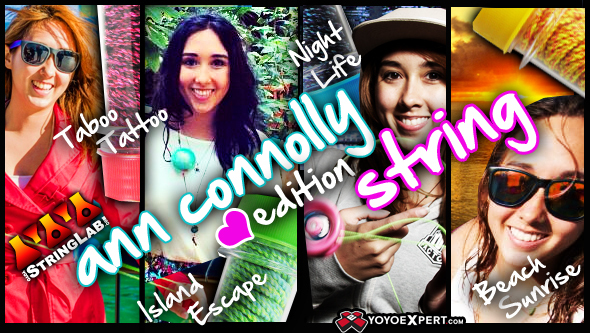 With the amazing success of their Type X String YoYoStringLab has now formulated a new 'signature string' for 2003 World Champion Johnnie DelValle. Not only is the string incredible but the packaging is genius as well! 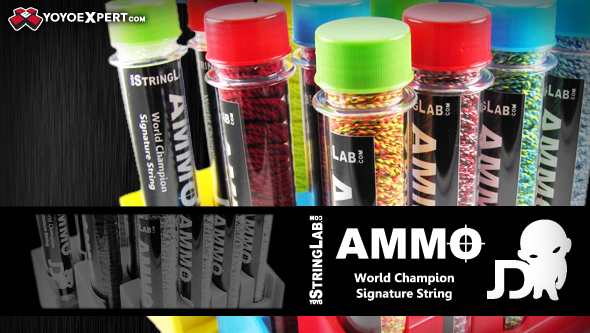 'Ammo' comes fully loaded in super strong plastic test tube with a screw on cap each containing ten strings which come out one-by-one for whenever you're ready to reload. 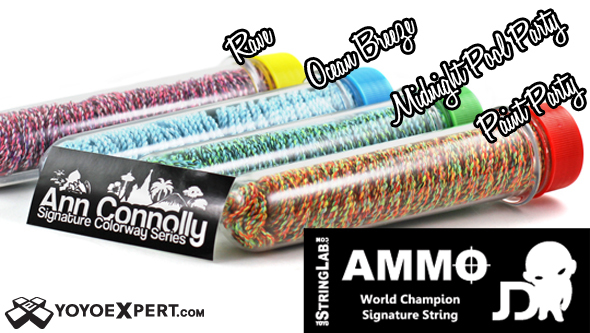 This new string keeps its tension longer and still has an exceptionally smooth and quick feel for a wide variety of tricks. It's great for slack, whips, risky binds, plus it has the great feel and performance of Type X. Higher caliber, higher power right? Sir Yes Sir. This string is a bit thicker but don't let the size scare you because underneath its large and powerful exterior is a soft and well natured string that will obey your hands movements down to the toughest whips and air binds. So no matter how much you rely on a particular string give this new ammo a shot, and don't get caught in battle without the stuff that packs the most punch!!! !